Two Shia Muslims have been sentenced to death in the Kingdom of Bahrain for alleged terrorism while another 56 people were thrown in jail in the Sunni-ruled island nation on Wednesday. 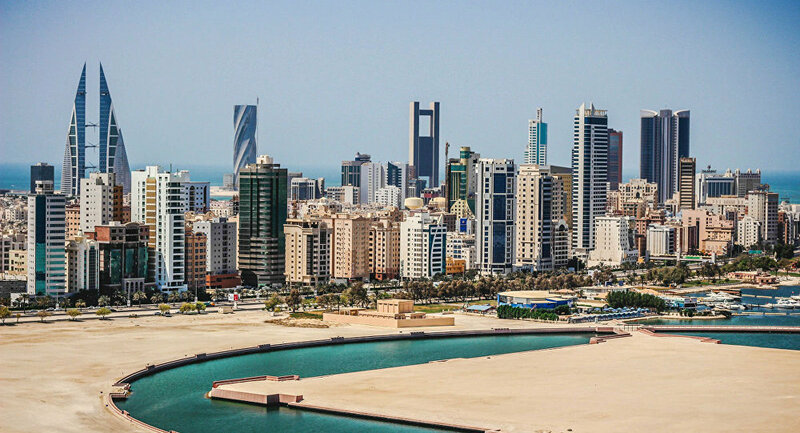 The Bahraini prosecutor's office said the "terrorist" suspects were led by a fugitive in Germany who coordinated the Bahrainis' training at Iranian Revolutionary Guard Corps camps. According to the state-run Bahrain News Agency, the 60-person mass trial resulted in 19 people receiving lifetime prison sentences, 37 people receiving five to 15 year sentences, and two people being exonerated. The charges included bringing explosives, weapons and ammunition into the country for "forming a terrorist group" to carry out lethal attacks on Bahraini police officers, BNA noted. According to Mustafa Akhwand, executive director of Shia Rights Watch in Washington, DC, there is an absence of a public, impartial and independent trial system in the island nation. "Unfortunately, we don't see [those qualities] in any legal system in Bahrain," Akhwand told Radio Sputnik's Loud & Clear Wednesday. ​Drawing on his two years spent working at the American Embassy in Bahrain, Loud & Clear host John Kiriakou pointed out that most Shia Muslims in Bahrain are ethnic Bahrainis and speak Arabic, not Persian, at home. Still, their Shiite affiliation is often taken by the ruling Sunnis as proof they are followers of Iranian clerics. "It's not fair," Kiriakou said, "it leads to human rights violations." In order to get support for the trials, the ruling Sunnis "have to accuse them of being agents of some other countries," Akhwand noted. "Right now, because the world is looking toward Iran, Iran is the best bet for them. If Iran really wanted to be involved in Bahrain, if Iran wanted send weapons and explosives to Bahrain, it would be so easy to do. Why, until now, have we not seen any of those? It's only an accusation by Bahrain toward Iran," the Shia Rights Watch executive director noted.